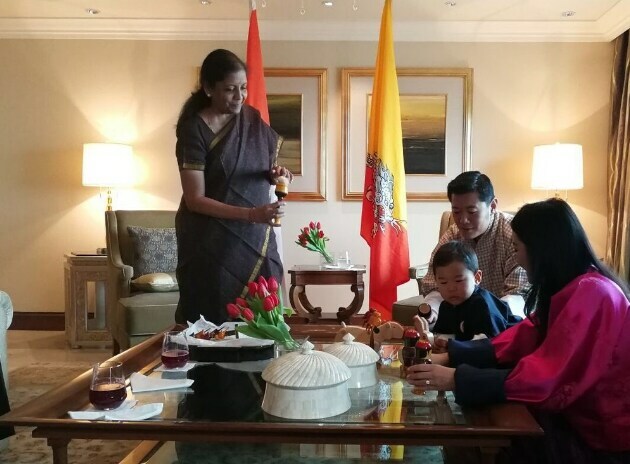 Bhutan's royal family — King of Bhutan Jigme Khesar Namgyel Wangchuck, along with Queen Jetsun Pema Wangchuck and Prince Jigme Namgyel Wangchuck — came for a four-day visit to India on October 31. 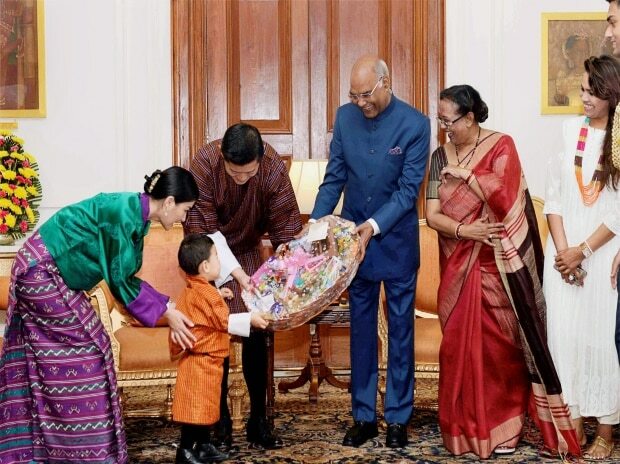 The little prince of Bhutan stole the thunder with his cuteness on his first state visit. 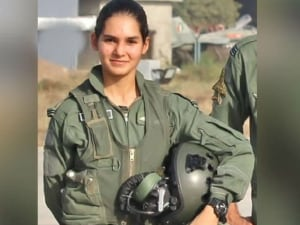 The trio met Prime Minister Narendra Modi at his residence on November 1. 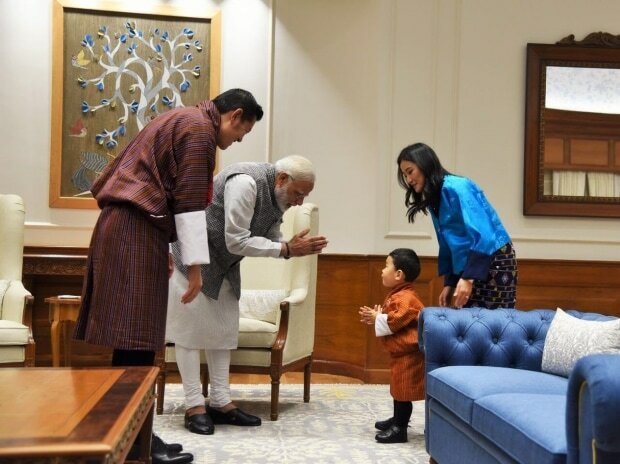 While the two world leaders were busy in discussing political issues, the tiny tot took all attention with his "Namaste" to PM Modi. 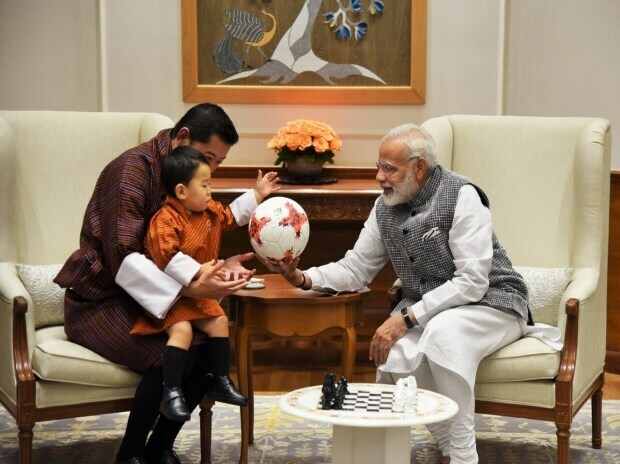 PM Modi gifted the official U-17 FIFA football and a chess set to the one-year-old royal. Social media could not stop gushing over the little one. Earlier, the little prince met Sushma Swaraj at the IGI Airport in New Delhi. 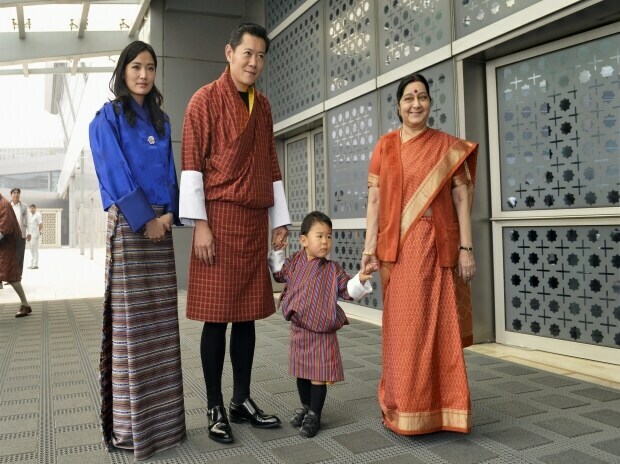 The adorable photo of the cute one holding Swaraj's hand created a lot of buzz on Twitter. 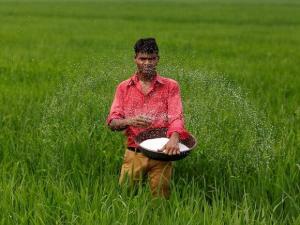 Sushma Swaraj taught the little kid to wave at the photographers when one of them asked him to say ‘Hi’. President Ram Nath Kovind met the royal couple on October 31. 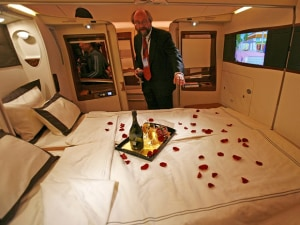 The young prince received a box of Chocolate from the President. Kovind expressed his deep appreciation for Bhutan’s support in resolving the recent stand-off with China at Doklam. 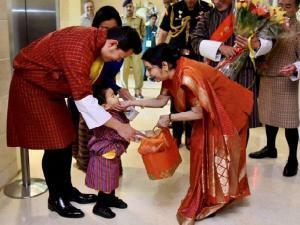 Defence Minister Nirmala Sitharaman also met the royal couple. 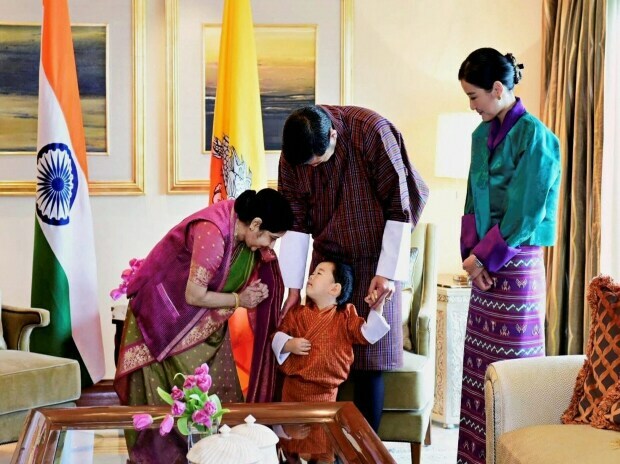 She tweeted, "With His Majesty the King, the Queen & the adorable young Prince of Bhutan. Happy to see HM the Prince like the Chennapatna (Karnataka)toys."